We’re coming to the end of the year and it’s a good time to take stock of what’s come and gone. We take in all the good and bad that has happened and then we look towards the year ahead. Legion brought with it some big promises, and a lot of expectations. How did shaman fare in 2016? 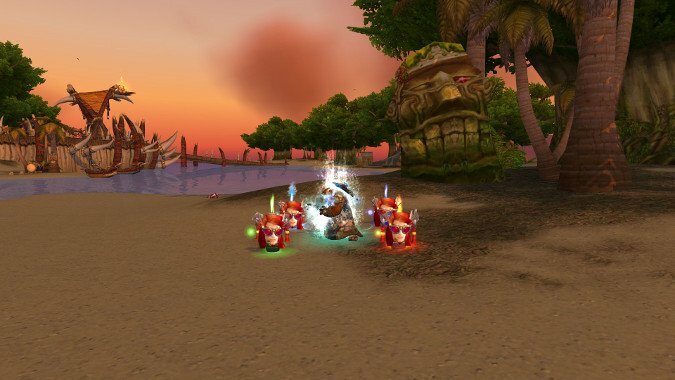 Class fantasy was a huge promise for Legion. At the beginning of the year we were getting our first glimpses of some of the upcoming shaman content for expansion. 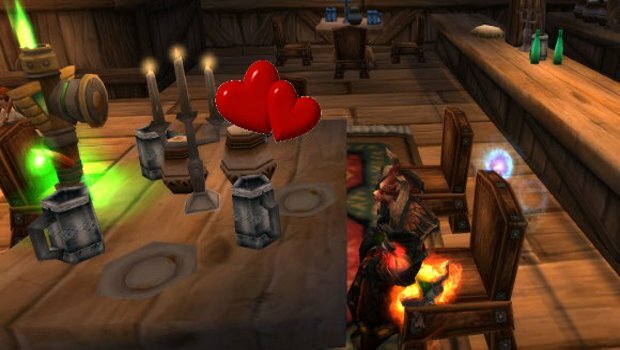 The Heart of Azeroth, our class hall, was presented to us in a proto form. It showcased an elemental aesthetic overlooking the Maelstrom. It was early, but the roots were there. All of the elements were present and working in concert. It felt right. The NPCs present were also a good mix from all of the Blizzard games. We had heroes from Hearthstone sitting alongside long time shaman legends like Drek’Thar and Nobundo. It was an awesome feeling to see shaman from both factions working together as part of the Earthen Ring. The next big reveals were our Artifact Weapons and the scenarios to retrieve them. Elemental’s weapon felt right on the money. An ancient Titan-infused weapon that summons the power of storm and lightning itself. What’s not to love? The scenario was all about proving our worth to the ancient being Xuen, the fist’s protector. Restoration had to travel back to the underwater realm of Vashj’ir to retrieve an ancient scepter once wielded by Queen Azshara herself. Aside from an early ill-fated name, which was quickly corrected, it was an OK start. The lore behind the item at first didn’t make much sense, but it was corrected to preserve the reasoning behind a resto shaman having the weapon. After a few changes, it fit just fine. With various talents, and ability unlocks from the weapons, the pieces fell into place to finalize how shaman would operate. Now, at the end of the year, it feels like they’ve delivered on the class fantasy. Things feel true to shaman in the Warcraft universe. That’s satisfying to be able to say at this point. At the beginning of the year, we were riding the end of expansion blues. 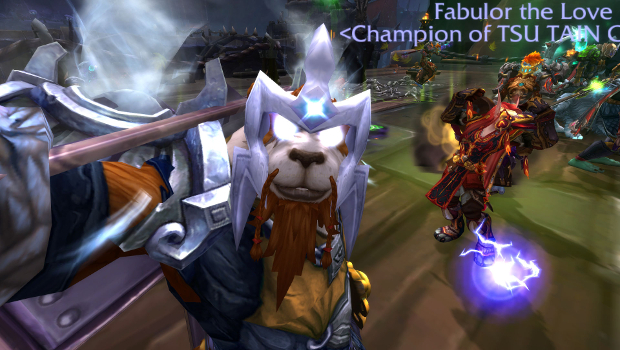 We were either finishing up what content was available in Warlords or looking for the next challenge. The real fun started when Legion was released. We were able to, mostly, level and quest without swapping to a DPS spec. Dungeons were the end cap to each zone, and our Mastery was in high demand for both normal and heroic. The real fun, though, started with Mythic and Mythic Plus dungeons. They added a nice layer of difficulty and challenge that fit really well with our healing tool kit. The best news is, for the most part, we’ve been unchanged this past year. That may sound like a weird thing to say, but it means we’re performing as expected. Healing in raids feels varied and engaging so far. Almost every choice in our talent trees is useful, and I’ve found myself swapping between them based on encounter or group composition. That’s something I never expected to say, but here we are. Almost all aspects of our Artifact Weapon are useful and we’re finishing the year strong. Despite starting Elemental last year, this is still something that is pretty new to me unlike healing, which I’ve done since before the game even launched. It’s a completely different mindset. At the end of Warlords of Draenor, I felt pretty powerful. When Legion hit, though, that changed. Leveling felt very much like a glass canon. If something got close, I felt like I shattered into pieces. That seemed to abate a little once I hit max level dungeons and began moving into mythics and raids. There have been a few tweaks to address some concerns about our DPS. From my playtime, I feel like this was something we needed. It may need some more tweaking, but we’re getting there. In terms of playstyle, it feels active and satisfying, especially when you have a nice bundle of crit and haste under your belt. Our talents all feel fairly useful in varied situations, and I still have a bit of a love affair with Icefury. 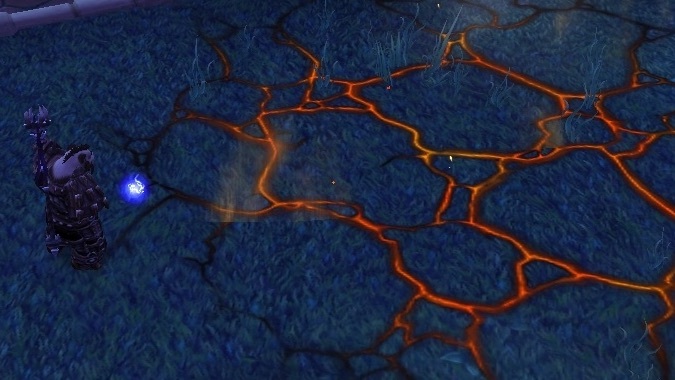 Lightning Rod seems super useful in Mythic Plus dungeons, and Ascendance is still there to make you like the incarnation of fire and lightning. We have options and different builds available to us, which is something I don’t remember in years past. Over the next year I’m hoping that we’re going to see some more Elemental love and a continued variety of encounters and mechanics for Restoration to keep healing exciting. I expect we’ll see some more elemental tweaks in the near future, though I’m not sure what abilities or spells will see those tweaks. Personally, I have a goal to spend more time DPSing. Not that I don’t love healing, but I have a lot of fun DPSing. I want to learn how to be better at Elemental, and I really want to bring you along on that journey. My other goal is to learn a little bit more about Enhancement. Twitter has convinced me to try it a few months ago, and it opened my eyes to our third spec which I haven’t really looked at since Burning Crusade. In the coming year, what do you hope to see? How was the past year for you and your shaman endeavors? Do you have any goals you are looking to accomplish in the coming year?